Aches, Pains & Injuries We Can Help With at Healthy Bodies Clinic. We can help you achieve lasting relief from a variety of aches, pains and injuries. 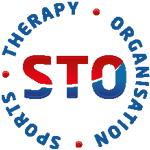 We provide many different types of therapy that can help you. Low back pain effects up to 80% of us at some point in our lifetime. Common conditions effecting the low back include muscle strains, sciatica and facet joint dysfunction. Neck pain is a common complaint that often effects people who sit for long hours at work, and people who are prone to experiencing stress, tension and anxiety. Shoulder complaints are the third most common complaint we see. Complaints include frozen shoulder, rotator cuff tendinopathy and impingement syndromes. Hip and pelvis pain is common among expecting mums, the elderly, people who sit for long hours at work, and people who participate in sports and exercise such as weightlifting. Every person who participates in sports and exercise has experienced some form of knee pain. Many knee complaints such as runners knee can be easily treated if caught early. Ankle and calf pain is common among runners and people who spend a long time on their feet at work. Common complaints include muscle strains and ligament sprains. Injuries are common in people who participate in sport and exercise. Common injuries include hamstring strains, groin strains, runners knee, tennis elbow and swimmers shoulder. Mums to be can experience various kinds of muscular complaints during pregnancy. Common complaints include low back pain, pelvic girdle pain and hip pain.  Treatment doesn’t always have to be about pain and injury. Sometimes we need therapy to help us feel better, reduce stress, anxiety, and to provide a sense of health and wellness. Our first aim is to identify the root cause of your complaint, and to establish why it has developed into something serious enough to seek treatment. We find that when people understand the nature of their complaint, they begin to feel better almost immediately. Without worrying about what is wrong, and scrolling through the internet to find answers, we find that people can put that all that energy into making changes to prevent a future recurrence. Therefore, in order for you to feel better, it’s not just about therapy, but education and self management. We help you to understand the root cause of your complaint. We help you to understand the therapeutic value of treatment. We help you to make changes and promote self management. Once we have helped you to appreciate the root cause of your complaint, and what factors likely contributed, you can begin to make changes to you life to help prevent a future occurrence. We call these factors aggravating and maintaining factors. Aggravating and maintaining factors are often identified as sitting for long periods at work, poor lifting mechanics, a lack of exercise, poor or aggressive exercise choices, stress, tension and anxiety. We believe that patient education is the key to relief beyond treatment. Understand the nature of your pain or injury. Acknowledge aggravating and maintaining factors. Address these factors to prevent a future recurrence.